Brütal Legend is the satirical video game about heavy metal that was remarkably well received, considering its unusual premise. Matt De Lanoy brings us the epic sculpture of the game’s hero, Eddie Riggs, who’s voiced in the game by none other than Jack Black, of course. 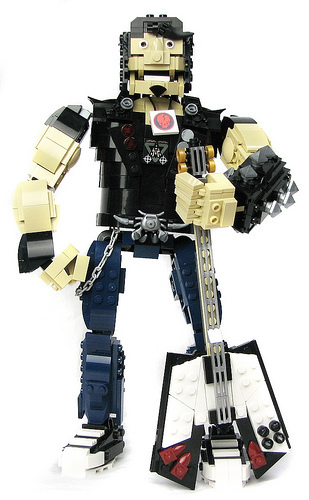 The character’s large scale allowed Matt to embellish the figure with lots of details, from the tiny goatee to the shirt made with an Insectoids tile that seems to have always been destined for a heavy metal band’s logo. 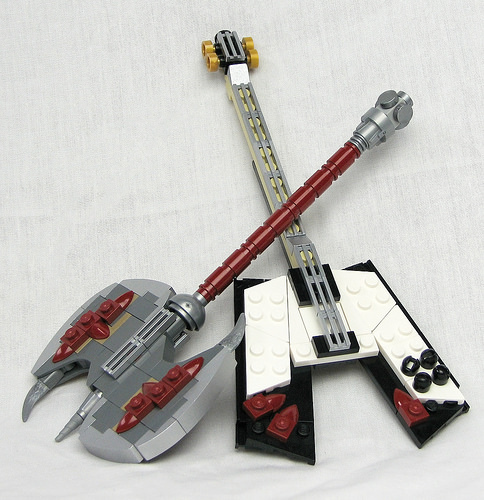 True to the game, Eddie carries an axe and guitar, both featuring wickedly over-the-top styles. 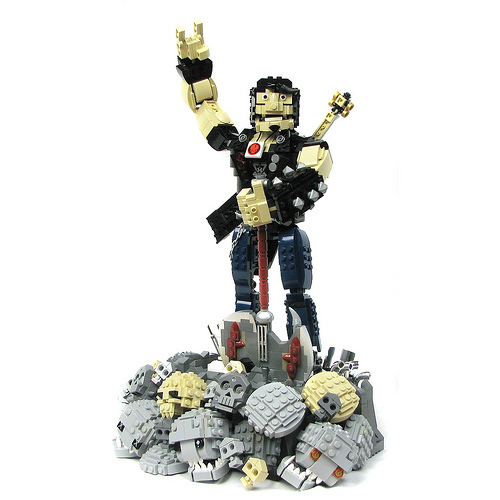 And Eddie’s never without a bit of theatricality, including a pile of skulls with chromed pipes. The skulls are impressive builds by themselves, with a variety of unique designss.